Now that I think of it, that joke is far too dated to be used . . . ever. Sorry. Anyway, it's me again; the sometimes funny but always laughing Hyena. That's right. I'm pulling a Linguica. Last reviews I did were back when the first Sonic Doom release was . . . released. And now, the last week of January brings us such epic wads as "Sands of Death" and "Ohgr's Doom". Yes, the long anticipation is over. Cyb says: Whoops, I forgot to post this last night. But it's all Hyena's fault, I swear!! That'll learn him to send it to me early. An old wad that never made it to newstuff was generously submitted by SargeBaldy. 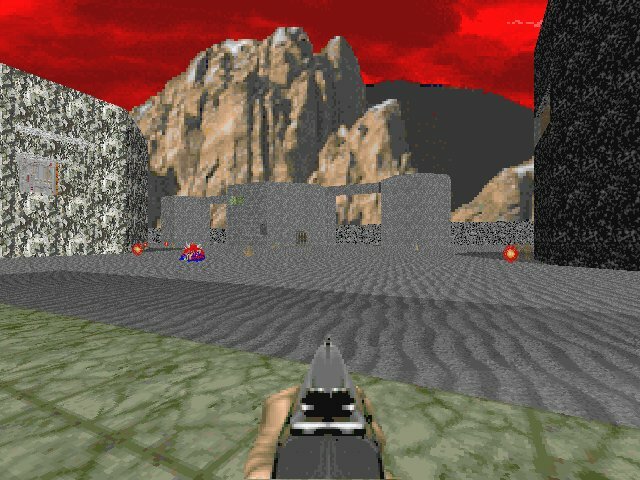 Point of interest number 1: The text file says "This level is the sequel of `Mountain of Fire' and MUST be played after that level, otherwise you will never have enough ammo to complete `Sands of Death'." My thoughts on point of interest number 1: You seem to have mistaken me for someone who likes to search through the archives to download a lot of unnecessary files. Just put the maps into one wad! I'm pretty sure back when this map was made they had utilities that could do this for you. Point of interest number 2: There is a huge ammo cache right at the beginning of this level. 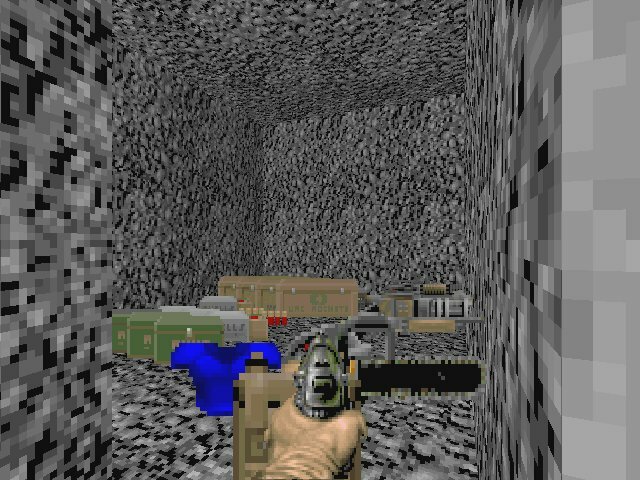 My thoughts on point of interest number 2: You definitely have enough ammo to beat the map. Saying you need to get the other wad must be nothing more than a plug. Thanks a lot, Alberto. And try to spell your name without caps lock. Point of interest number 3: Most of the outdoor sectors of this map will hurt you like nukage. My thoughts on point of interest number 3: I had to play this wad three times before I figured out that I'm not getting shot by a distant spider mastermind, but that I'm getting hurt by walking on dirt. I thought, maybe the idea is to get off of the dirt and stand on paved (or marble) floor. I did so, and I was fine. Then I went around to the other side of the marble floor and I started getting hurt again. Finally, I figured out that the bright sectors hurt you, and you have to stay in the shade in order to avoid getting hurt. While this can make the map interesting and add a nice original challenge, I really wish it was made more clear how this works. After discovering this, I checked the text file to see if there was any mention of this effect, and I found one halfway through the backstory: "He directed his feet towards the building but, as soon as he reached the sunny area, he felt the impossible heat of the sun bite his armor and flesh." This story is at least three pages long. Do you want to read that much, or do you just want to play the wad?After you get past these little gripes, the level runs fairly smoothly. The switch-hunting is a major pain in the anii, though. It got to the point that I had to open this map in my editor at least 10 times to find out where that switch is that I just couldn't find. Also, I find this map could have been tested more thoroughly. 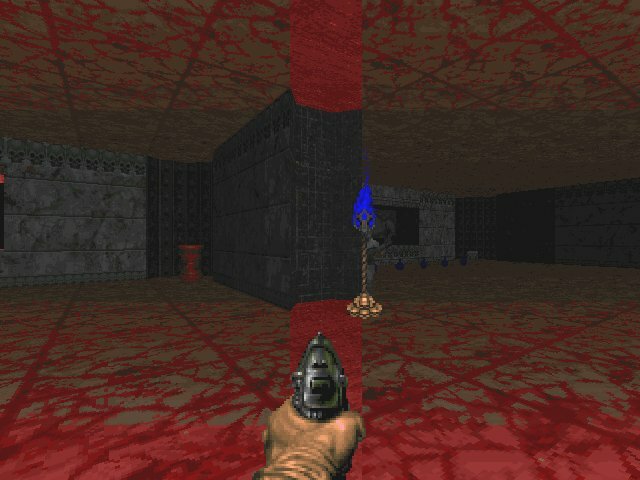 At one point, there's a floor that raises to a door requiring a yellow skull key. If you don't have the key, you have to jump off the raised floor which will never lower again. You need to idclip (or idspispopd, rather) when you actually find said key. I'm just glad I don't do Grazza's "Wad of the Week", because this would be it. And it definitely doesn't deserve to win. Mostly what this wad accomplished was making me tired of Doom's intermission music. Sargebaldy uploaded this one as well. I don't know about you, but I was always fairly sure Batman Doom was in the archives somewhere. Maybe they weren't. Anyway, I won't waste my breath (or typing, as it were) reviewing this as everyone knows what it is, and I won't bother with screenshots because it's hosted here on Doomworld and there are plenty of shots to be found there. I'll just say that if you're one of the new (or out of the loop) doomers that have never played this, you really should. P.S. If you're wondering why I would pick Sands of Death over Batman Doom, I would have disqualified the latter because it was released long ago. But it's all a moot point because I don't *do* Wad of the Week. Can we move on, please, if that's okay with you? Jerk. 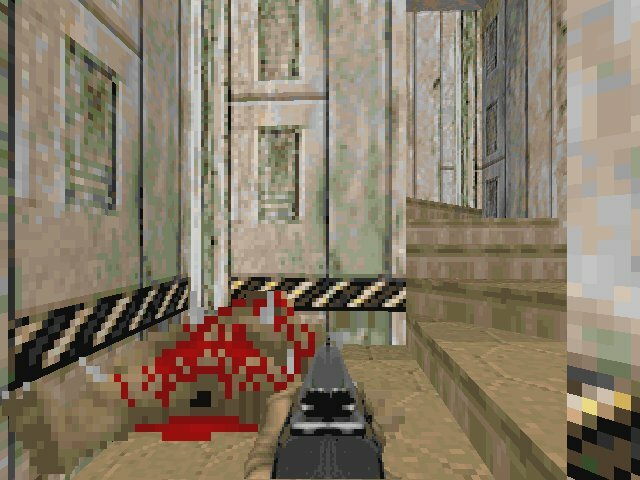 Ohgr's Doom (2004) - Charles Laird "cyanide-x"
Where should I begin? Well, it doesn't matter how good you make it, people are just going to make fun of it if you put an Icon of Sin in a deathmatch level. Aside from that, the one map is tiny. 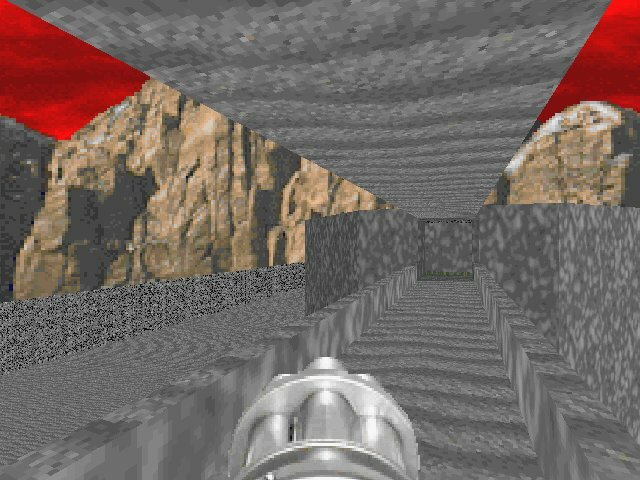 Yet, the wad has a gigantic filesize (due to a pile of texture replacements, half of which are not used at all), really obvious unclosed sectors, and some backward teleport lines. On the filesize issue, if you take a quick scroll upwards, Batman Doom has a zipped size of 5650 KB, which is roughly five times the size. This is with 32 times the number of maps (which are all much bigger), and complete sprite replacements for over 90% of Doom 2's resources. So, what's the big resource hog in this one? Ignoring all the bad stuff, this is about as average as a DM level goes. Some fairly good detail, straightforward gameplay, symmetrical design (/me hears Deathz0r groan). So if you feel like downloading a huge file to play your average everyday DM level and having to deal with a million tiny little monsters filling your little arena (-nomonsters doesn't help you out, either), go ahead and pick this one up. And if you see me chuckling as you do so, I'm laughing at something unrelated. 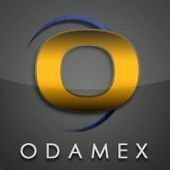 In addition to these, one CGDoom v1.9 was released. 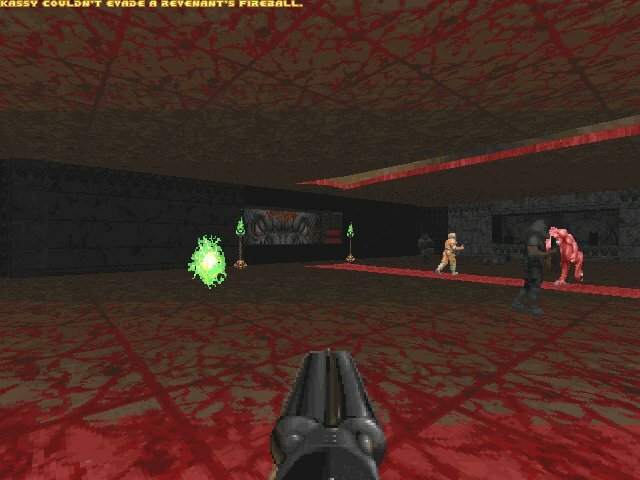 It's a doom engine based on Linuxdoom and its source is here. And that's Newstuff Chronicles #166. As always you can find transcripts of these reviews at www.doomworld.com. Remember, stay out of direct sunlight, don't wake up the boss shooters, and always search the batcave for extra powerups. fp! props to all logged in lamers! After so many fulfilling newstuffs, this is quite disappointing. I guess everyone just needed a break. I guess everyone's getting back to work/school again. Anyways. Something is bound to come out soon. Dangit. My wads didn't make it in time. Doh! Does that mean you were the one who uploaded the RAR with no accompanying text file? No. That wasn't me. I think my wads are still in the incoming directory. I might release it later this month. I have to rerip about 7 guns because of this HD crash. Well this was certainly a boring week. as for sands of death point 3, you get damaged outside because it's supposed to be a desert and you're thirsting to death or something. when you walk into the shaded sectors you don't get damaged. 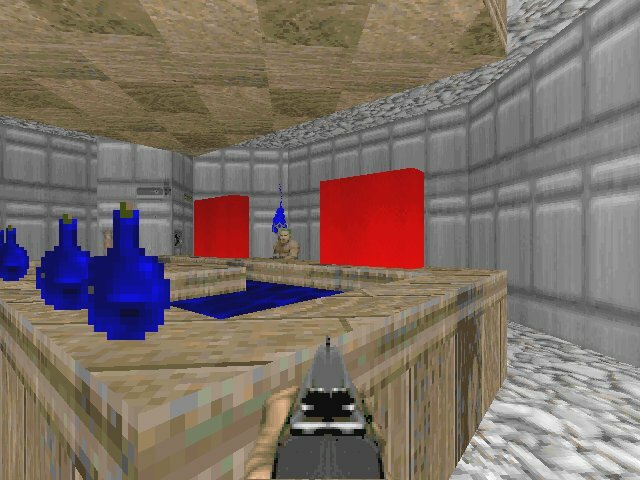 the map was meant as an experiment really, this is the same author who came up with using teleporters to simulate 3d (like boom's silent teleporters) as well as dummy sectors* :P also if you research it you'll find that's also the first map to use transparent doors. and the gameplay is really easy because that wad is ancient (yes, even older than uac_dead). anyway i thought it was pretty good for its age, though not as good as its prequels. What's wrong with the review? Everyone DOES know what Batman Doom is. And he did give screenshots, by reference. Sure, everyone knows. Everyone knows what Vrack maps are like, everyone knows what RTC-3057 will be like, everyone knows what a new Erik Alm megawad will be like, why not just assume everyone knows what everything will be like and drop the reviews altogether? I actually hadn't played the TC until the day before I uploaded that to /incoming, and I didn't really know what it was going to be like. 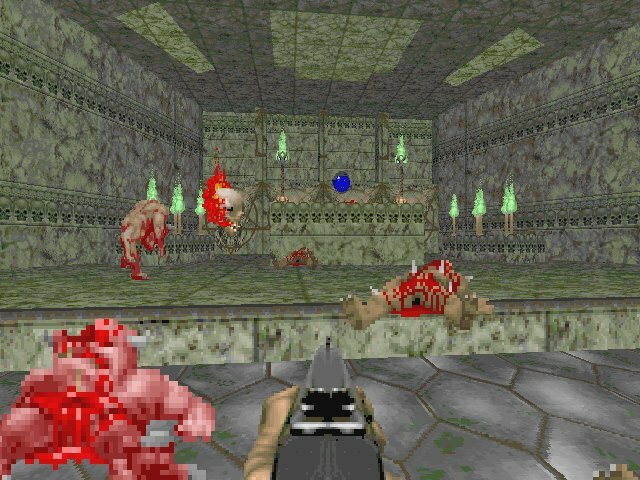 Let's also review Doom every time we mention it. Well, the purpose of the newstuff chronicles (as I understand it) is to give people an idea of whether a wad is worth their time downloading and playing. The only people here who haven't played Batman Doom are either new, or hellbent on never playing it. I haven't played it, I'm not fond of Batman. Not that I didn't know of it, though. I didn't bother playing it until now because previously you'd have to wait 30 minutes in line to download it. I wouldn't have bothered at all except that I downloaded the demo version off the archives and was impressed. The only people here who haven't played Batman Doom are either new, or hellbent on never playing it. Sweeping statements that aren't true. I never really heard about it until the 10 years review, and even then I didn't really think about grabbing it 'till it showed up in the archives. Not everyone has played every big project going since 1994, and it will always be like that. 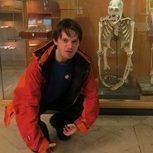 I just updated the website.